He’s at the 30…the 20…the 10…TOUCHDOWN!! 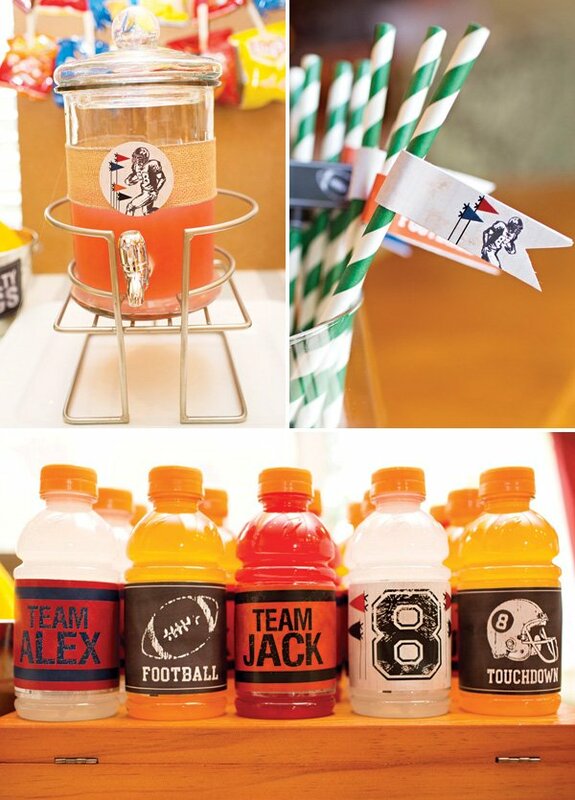 Valerie Gimre of Charming Touch Parties styled DOUBLE the fun for her “Gametime!” Twin Boys’ Football Birthday Party! 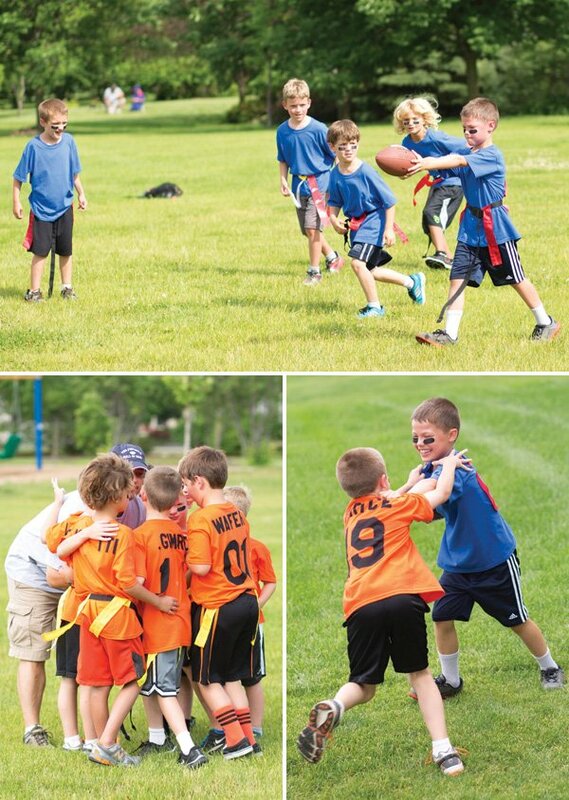 The whole day was centered around the big game — Alex’s team vs. Jack’s team in a flag football match. 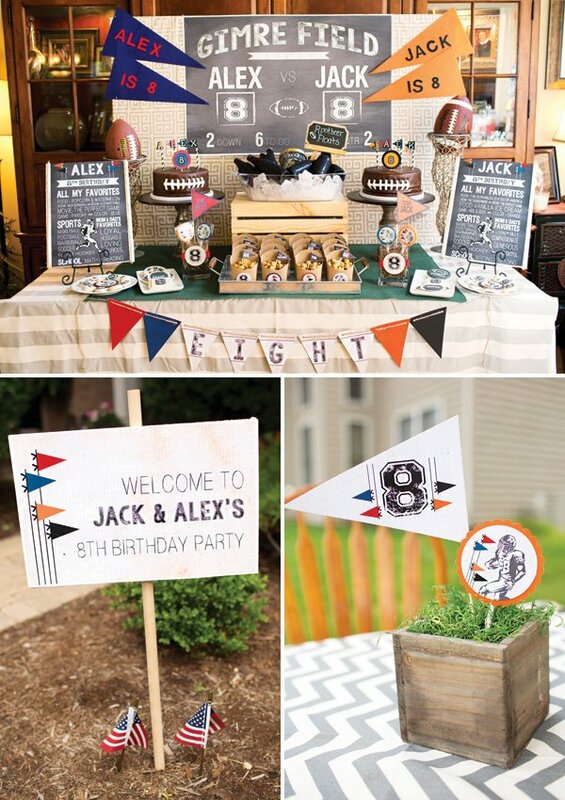 I love that the color palette focuses on the team colors rather than the traditional green & brown, everything would be so cute for a Super Bowl party! I’m sure both teams went home happy with dirt on their knees & cake in their bellies :). My twin boys turned the BIG EIGHT this year. All of a sudden they’re super sports focused. Army men and action figures have been replaced by baseball cards, sports practice and Saturday games. It’s all pretty cute, really. 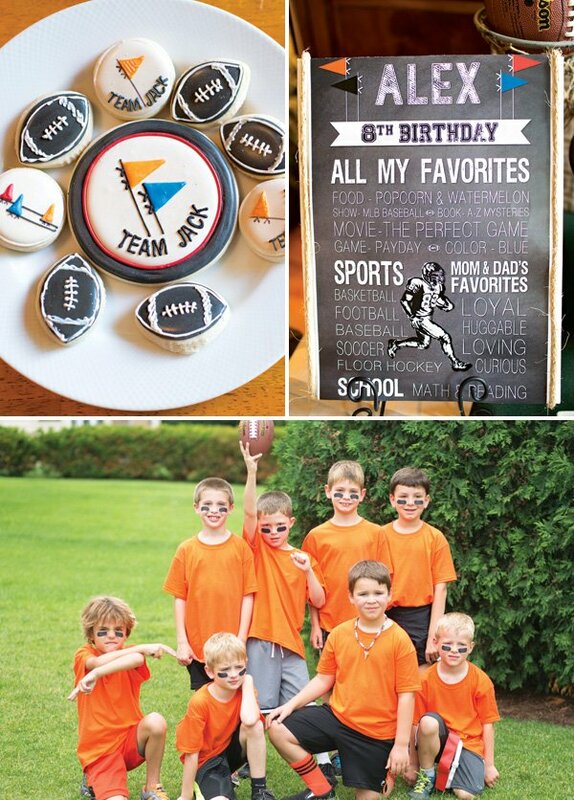 For their 8th birthday, we decided to throw a football party to honor this new passion. Each of my boys has their own favorite pro football team and had asked to have each team’s colors represented throughout the party. 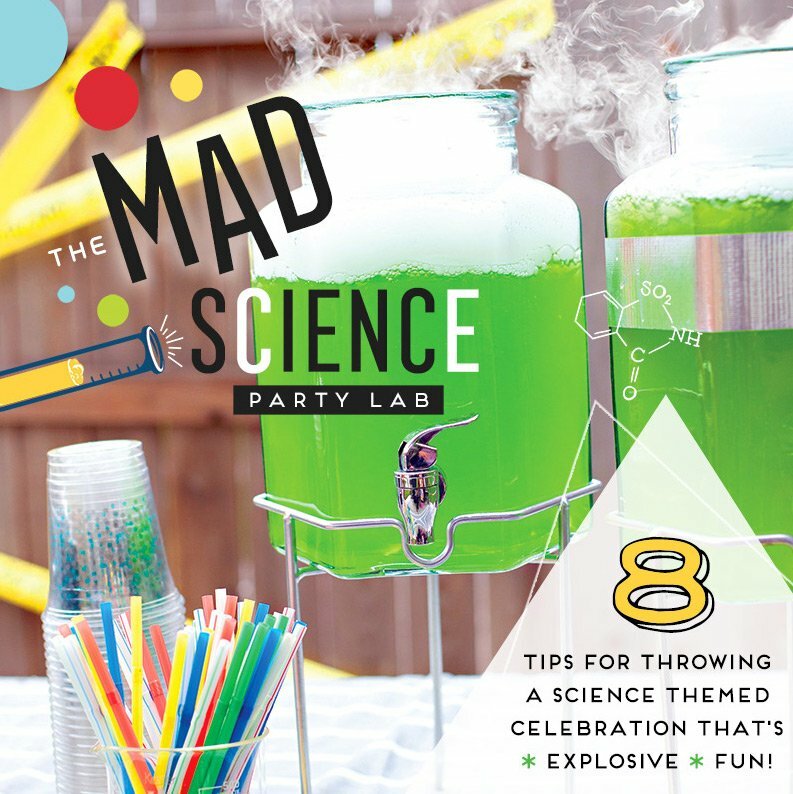 Not an easy task, but this party stylist Momma was up for the challenge. 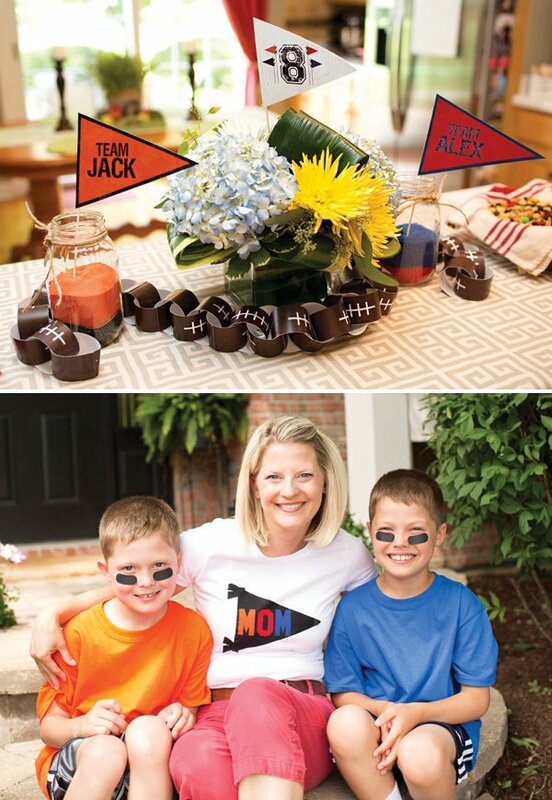 Our invitations consisted of an invite, team jersey (just a basic t-shirt with ironed on numbers and names) and eye black. The kids were immediately super excited to attend! 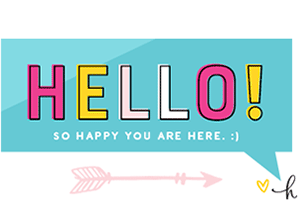 I enlisted the graphic design help of friend and follow Chicago designer, Beth Kruse Custom Creations. She was masterful in creating a vintage vibe, while utilizing multiple colors. We created a “team” concept, utilizing each child’s team colors. These colors were showcased separately throughout the party. It was a really neat way to celebrate each child individually. 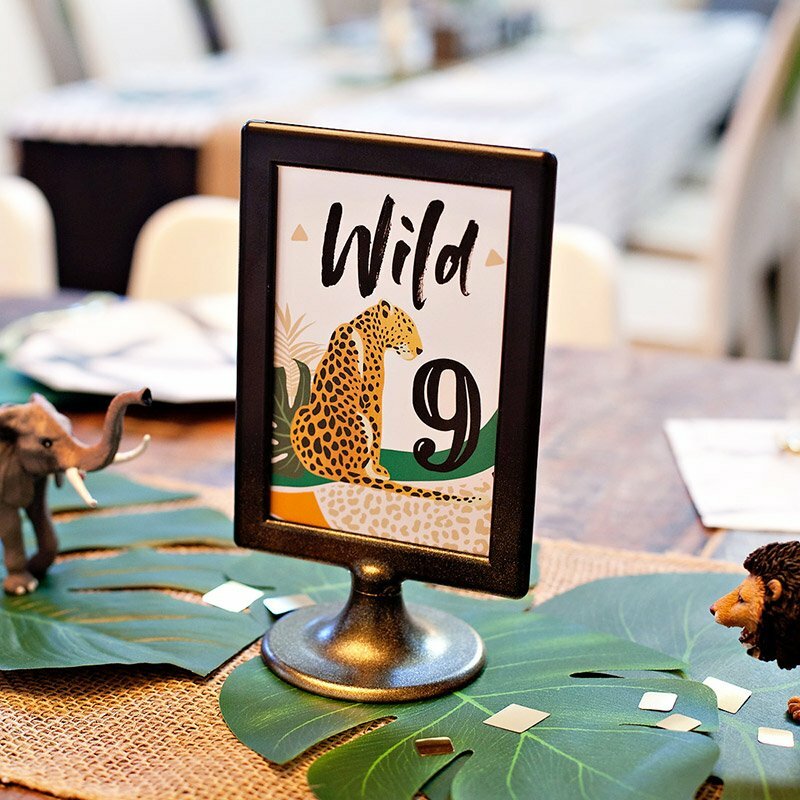 A vintage chalkboard scoreboard set the backdrop for our sweets table. Our desserts were beautiful but simple. 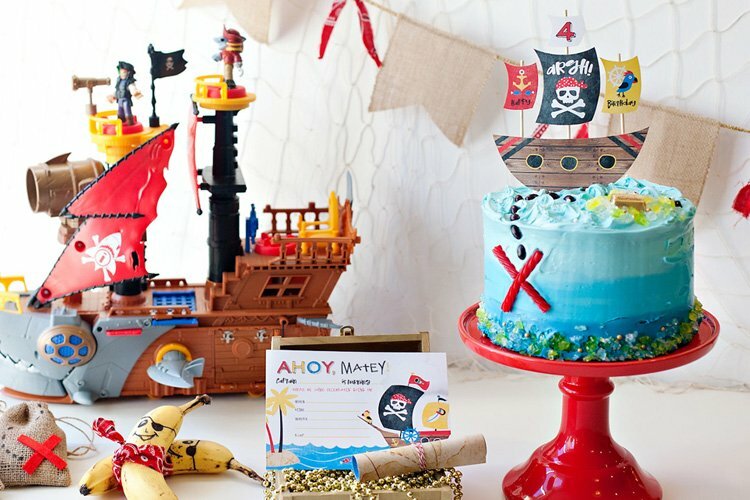 Fussy desserts didn’t seem appropriate for this boy bash. 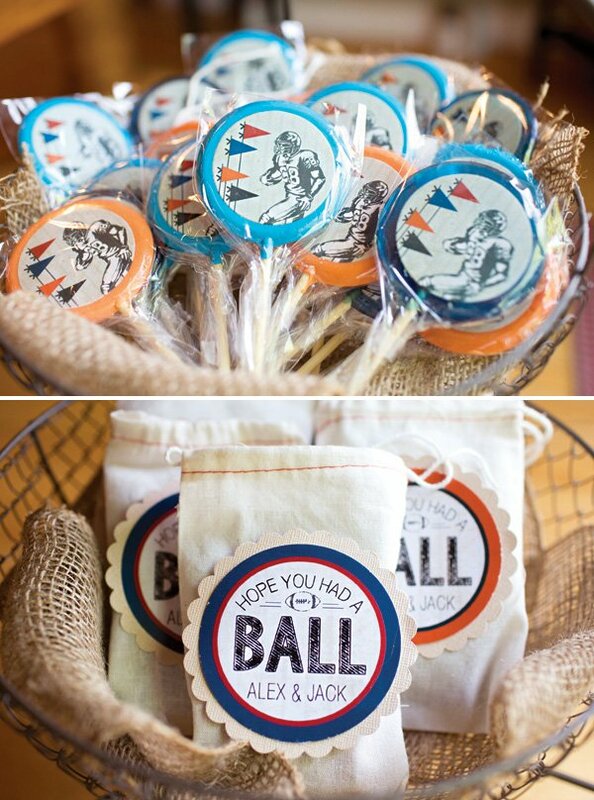 Two round cakes were textured to look like footballs, dressed with frosting laces and adorned with pennant flags. My boys’ favorite treat is rootbeer floats, so they were a “must have.” Some beautiful custom cookies and caramel corn rounded out our table. 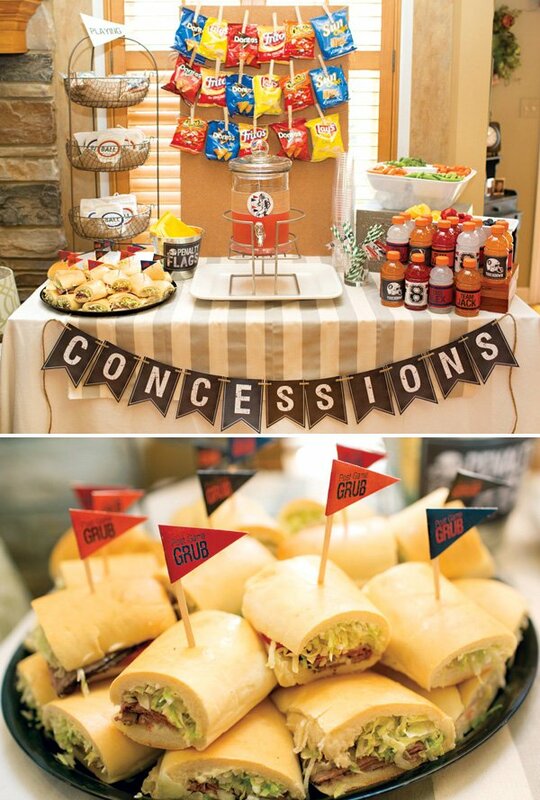 We also created a special “Concessions” table complete with energy drinks, sub sandwiches, fresh fruit and veggies and a medley of chips. Again, we kept the ‘less is more’ concept for this table too. Simple. Kid friendly. Easy to eat. Sports inspired. Once the kids arrived for this party, they were immediately taken to our back yard for “practice.” From there, the coaches (my husband and another Dad) walked the 17 boys (oh my!) to the local park for the big game. Post-game refreshments were enjoyed back at our house. 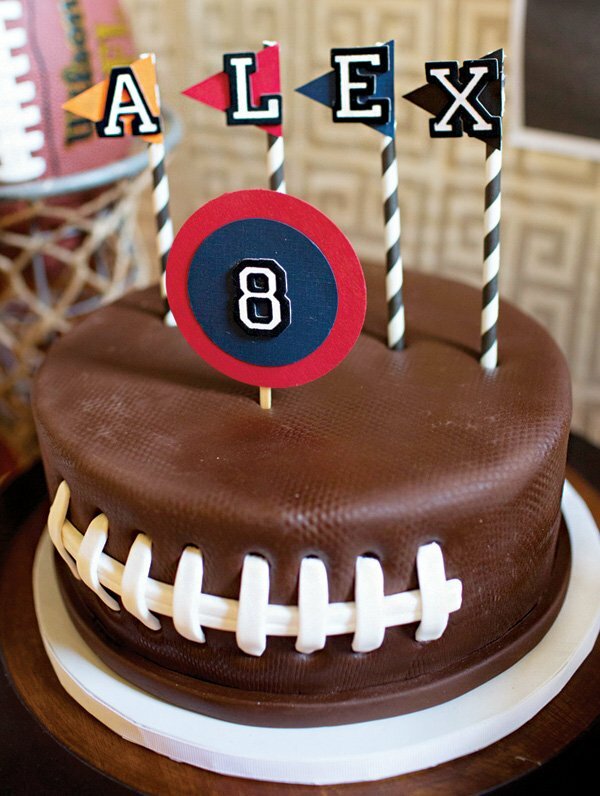 It really was a great party and a terrific way to honor my sports loving little men! This is the cutest! 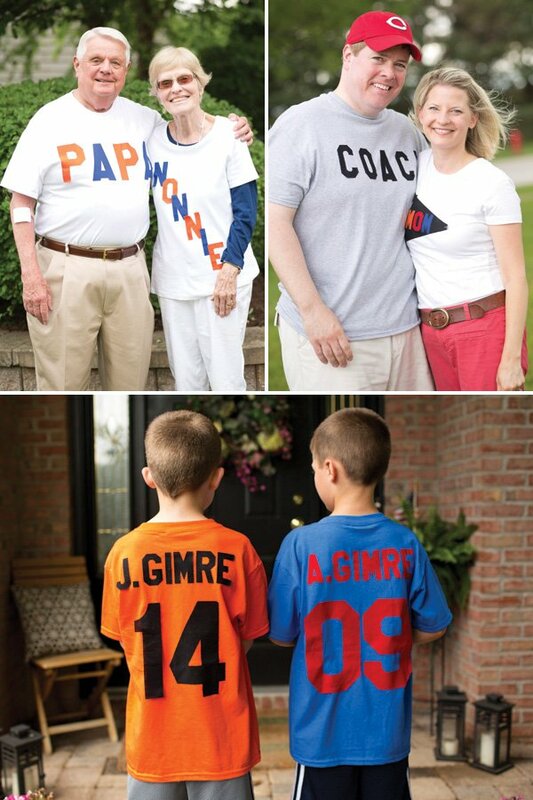 My son just became obsessed with football so these ideas may come in handy in the future! 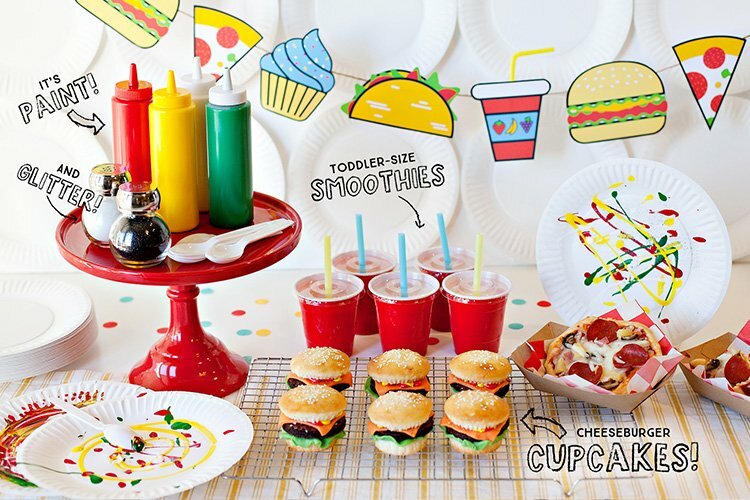 love the chalkboard background as it contrasts perfectly with the birthdayboy’s favorite team color scheme! where did you get the popcorn holders from? What a great party!! 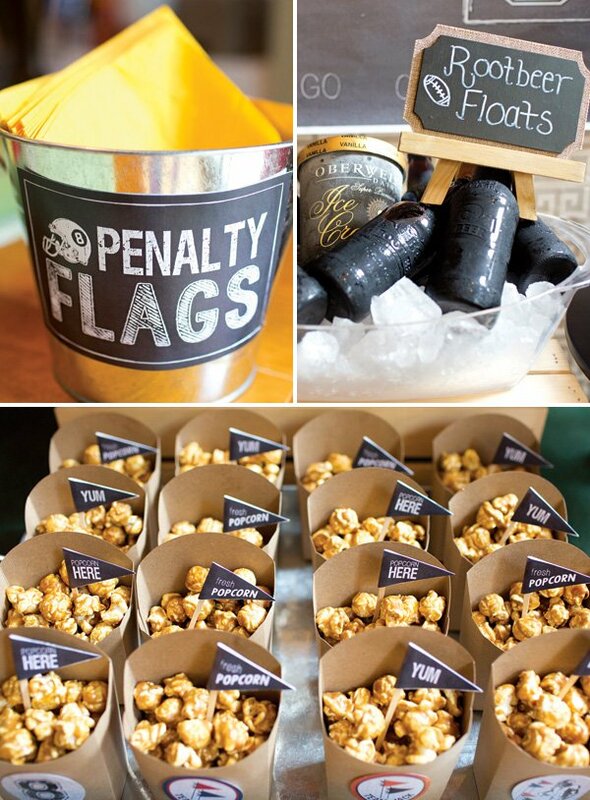 where did you get the boxes that teh pop corn is in…Im throwing my hubby a party and theme is "50 yard line" (for his 50th birthday ) and i am making pop corn and chips for snaking and want to use something like this …Thanks!